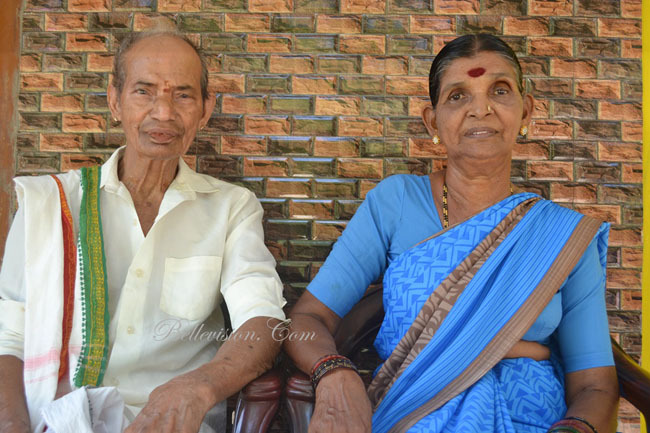 Udupi, 01 May 2016: Since my retirement last year, I was looking for an exclusive story for Bellevision. I thought I have ample time to concentrate and look for a worthy personality to be highlighted and be recognized and introduced to the Bellevision readers. But fortunately I did not have to go far to search one. I was just relaxing after my lunch at my residence and then I saw a frail old man walking with an umbrella in front of my house. 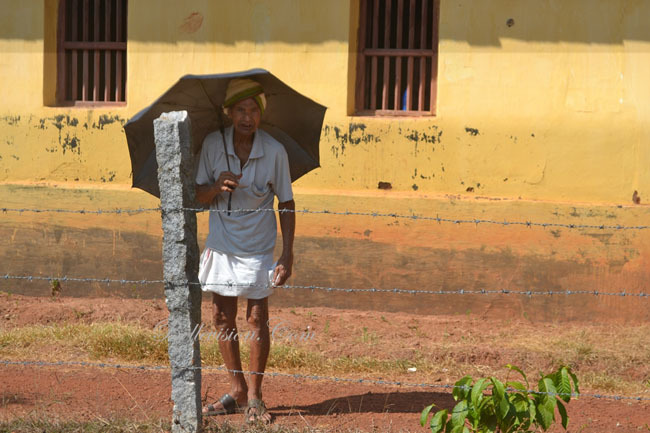 I wondered where this old man was coming from in the afternoon in the hot sun. When he walked right in front of my house I immediately recognized who he was. 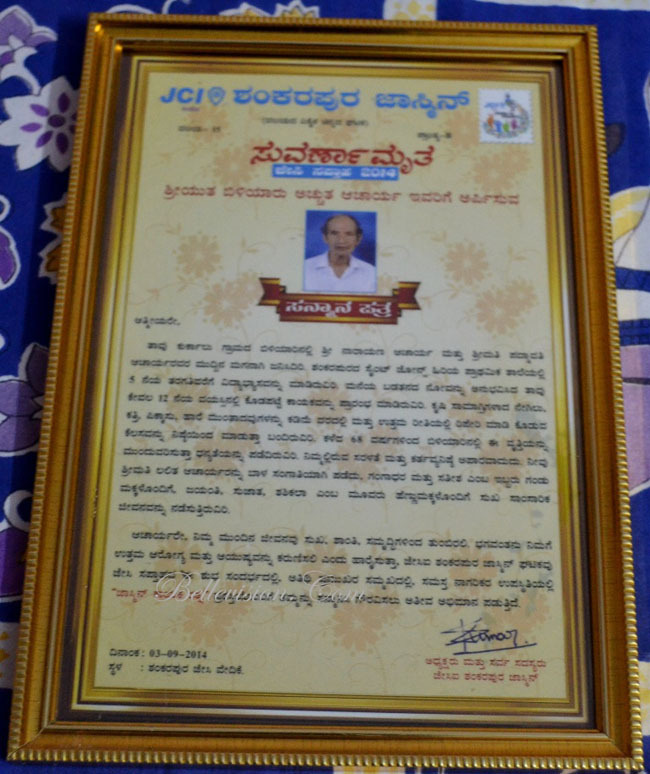 The steel man, a legend and popularly known as ‘Kodapatte Acharyyane’-Achyuta Acharya whom I knew since my childhood. I knew that he is my neigbour since I went to live in my current residence at Durganagar. 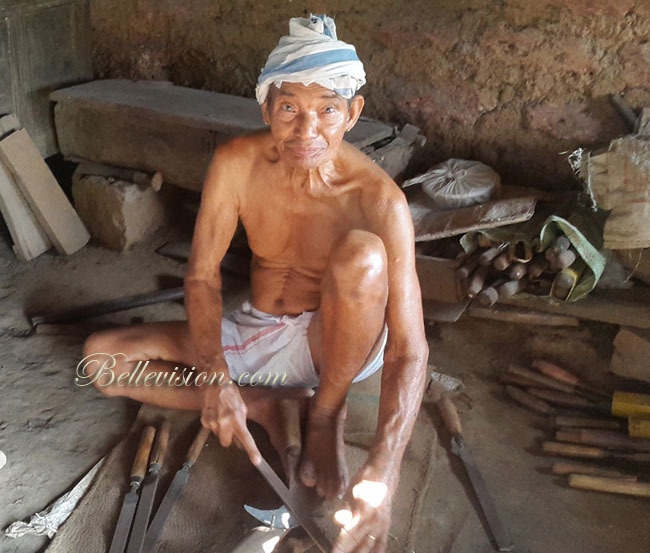 He is a gentle soul and quiet man and highly respected by all from Shankerpura for his craftsmanship who toiled every day at the hot Furness hammering agricultural and domestic tools to support his family. My first memory goes back to 1963 when as a five year old boy I visited the first blacksmith shop that was located at Salmara (opposite to Bank of Baroda). 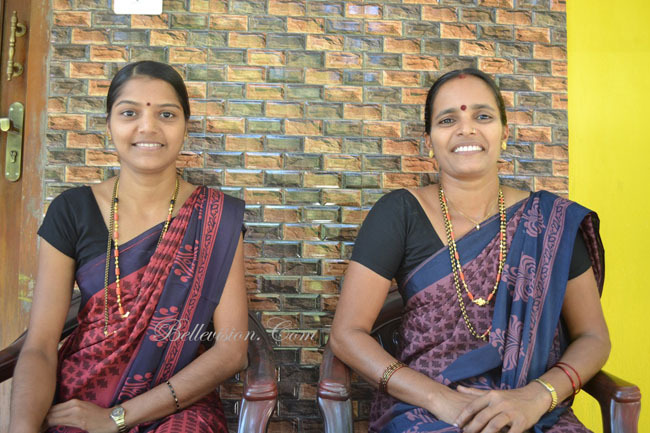 At that time Achyuta’s elder brother Nilaya Acharya was in-charge who also worked till his last breath. I was fascinated at the way that both the brothers worked at the forging at the Furness. A helper would blow the air through a balloon type blower and both the brothers would hammer and shape the red hot softened lump of iron into required tools. Achyuta Acharya used to call me ‘Mariabai Pulli’ when I first took sickles for sharpening (my grandmother was Late Mary Mathias). Of course neither of us knew each other’s names although I have learned his name, but he still called me ‘Mariabai Pulli’. In modern times, blacksmiths use a wheel blower to blow air into the fire, but at that time there was a tiny balloon type implement which was pumped regularly to keep the fire burning and the iron was heated red hot and once it was ready to mould, it was hammered at an enormous strength by these legendary brothers in rhythmic coordination similar to the one the guys use to put up tent at circus by hammering the rods for holding the tents. Those memories still ring in my mind how these brothers worked and their efficiency and craftsmanship to be admired. 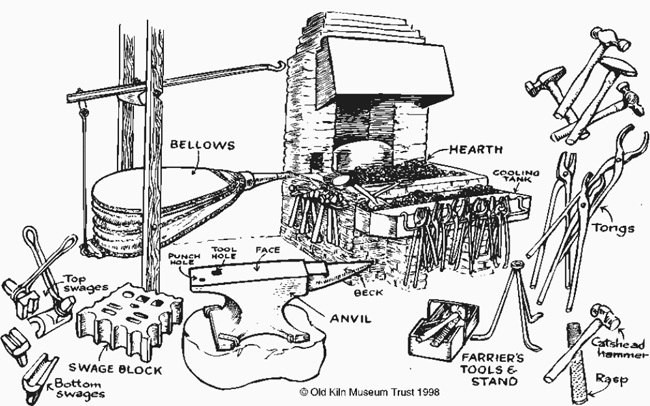 I was little more curious to know about the origin and progress of Blacksmithy. This curiosity led me to the Google search to find out some information about this craft. In Hindu mythology, Tvastar also known as Vishvakarma has been the blacksmith of the devas (gods). The earliest references of Tvastar can be found in the Rigveda. Hephaestus (Latin: Vulcan) was the blacksmith of the gods in Greek and Roman mythology. 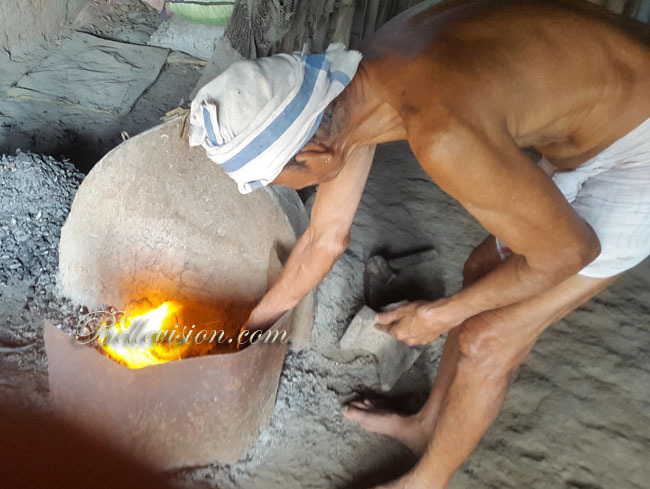 A supremely skilled artisan whose forge was a volcano. He constructed most of the weapons of the gods, as well as beautiful assistants for his smithy and a metal fishing-net of astonishing intricacy. He was the god of metalworking, fire, and craftsmen. Tubal-Cain is mentioned in the book of Genesis of the Torah as the original smith. Ogun, the god of iron is one of the pantheon of "orisa" traditionally worshipped by the Yoruba of Nigeria. Whatever the mythology indicates, one thing is clear that blacksmiths have been very good craftsmen, genius, efficient and perfect. 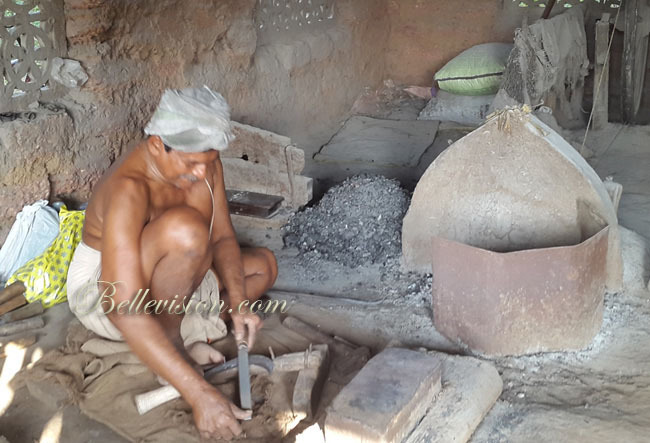 The same goes with Achyuta Acharya, an efficient and skilled craftsman and hard worker. The legendary Achyuta Acharya was born 10th October 1931. 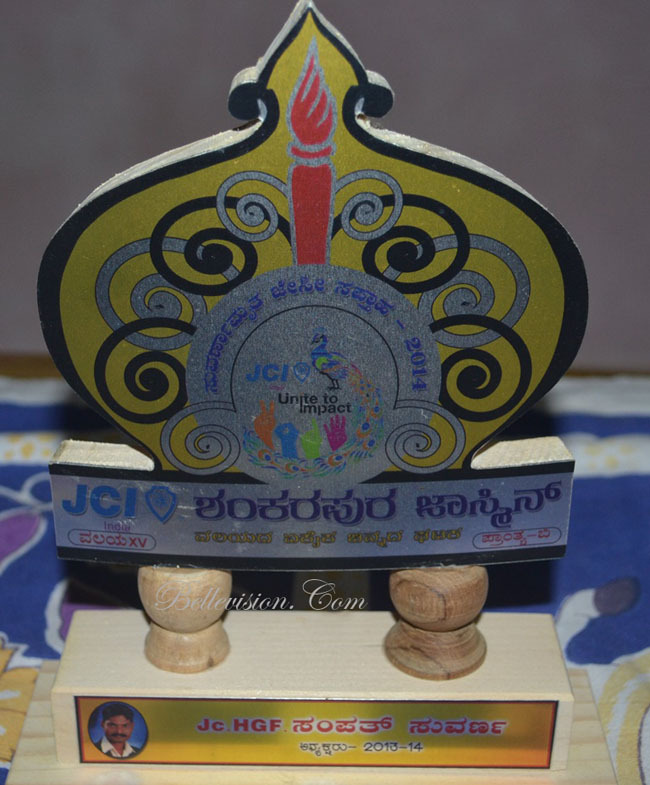 He studied up to 5th standard at St. John’s School, Shankerpura. However, due to poverty he could not continue his education and had to join his brother to support him and his parents. 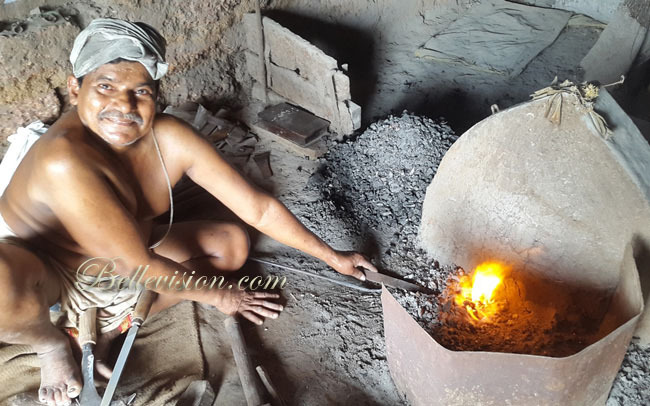 He joined Kodapatte(Blacksmith Workshop) when he was only 15 years and amazingly still working at an old age with the support of his nephew Babanna Acharya. 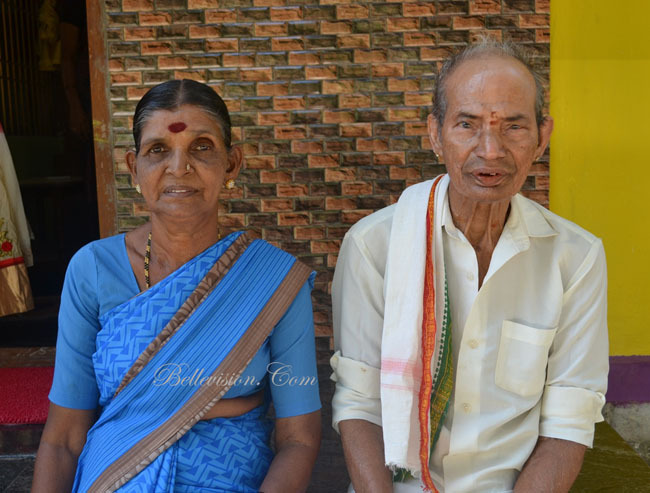 While working for last 70 years, Achyuta Acharya also built up his strong family. In 1945, Achyuta Acharya married to Lalith Acharya. 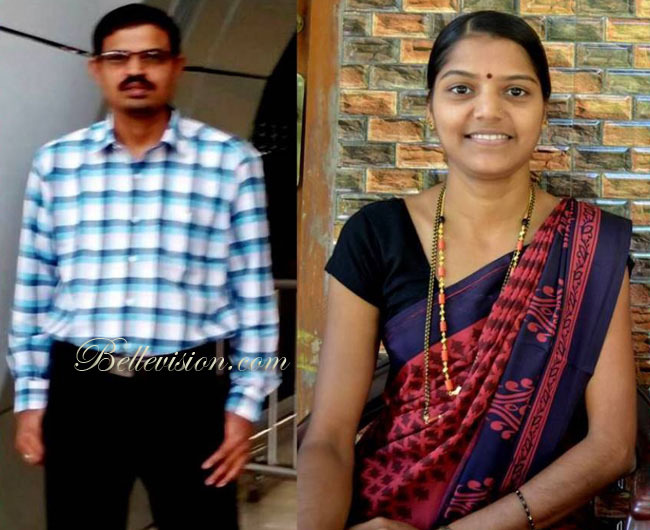 Both of them have been blessed with five children-Gangadhar, Jayanthi, Sujatha, Shashikala and Sathish. They all married and well settled though none of his sons continued the tradition of blacksmithy but well educated and involved in different trades. Both the sons have been working abroad. This is my simple tribute to the man I have been admiring since long time. He has been sincere, humble and hardworking person that I have come across. He has been the master craftsman who served the community with dignity. 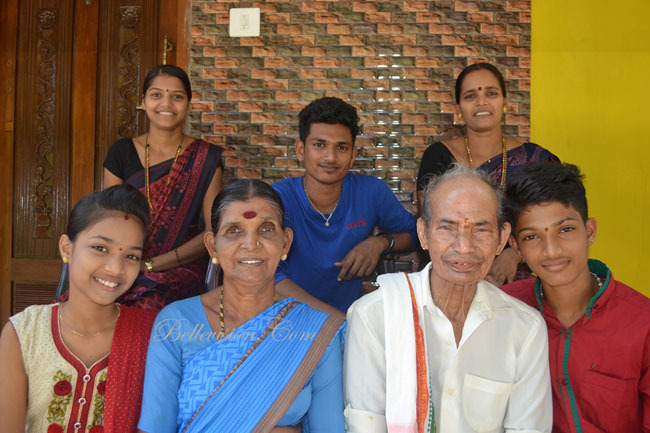 He worked his entire life at the workshop and supported his family, educated his sons and presently living a very happy life with his wife Shashikala, daughters-in-law Jyoti and Savitha along with grandchildren Deepak and Deeksha who are studying at St. John’s Academy Shankerpura. 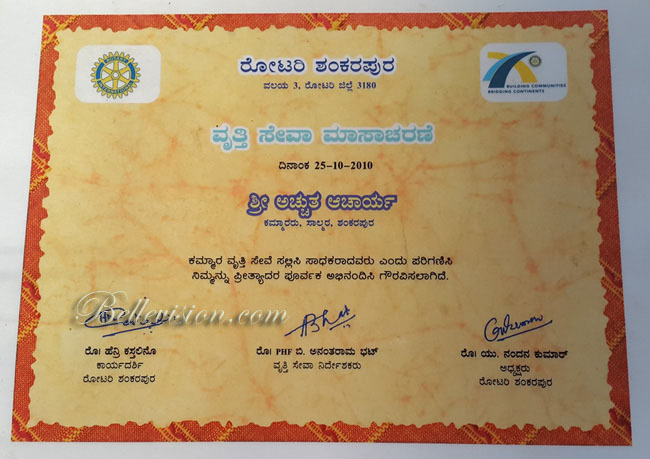 For his long service in the field of blacksmithy, Achyuta Acharya has been recognized by JCI Shnkerpura Unit and Rotary Club Shankerpura and he has been felicitated with special mementos. 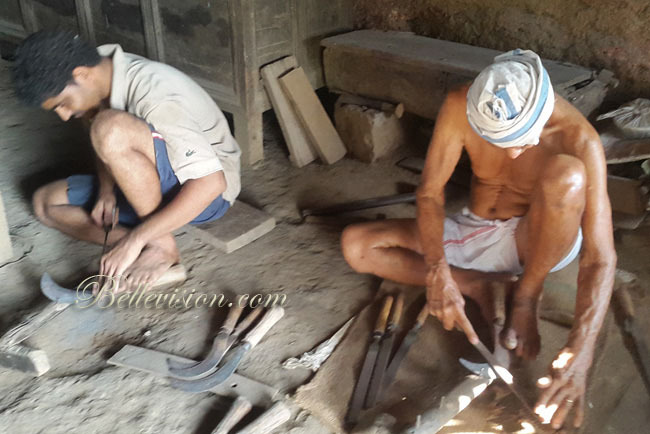 Well-crafted exclusive on a man practising the ancient craft of blacksmithy in a village. I liked both language and style. 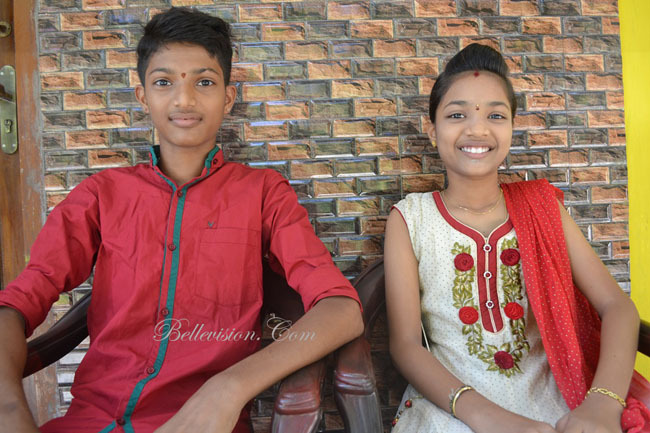 Alphonse, good article reminding hardship of olden technology, slowly giving way to modern ways of mass scale manufacturing thus perishing family business which is not at all lucrative. 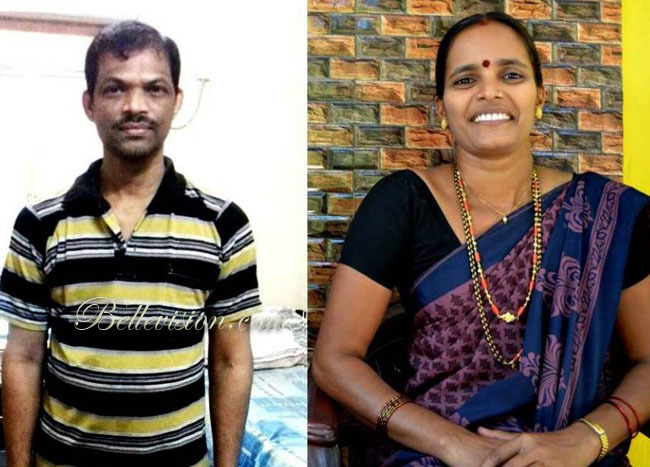 Wishing long life and good health to Acutha Achary and family. 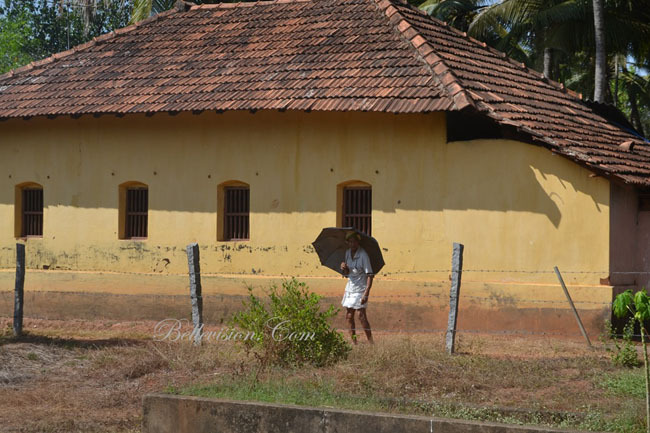 Thanks buddy for this lovely article, bought back my memories of shankerpura, salmara. I do sometimes visit this same place just opposite Bank of Baroda to my moms paternal place. Very nice article Mr.Alphonse.very informative. Very informative article. Good tribute. Well deserved. I am sure I passed through his shop many times in the 60,s. Regards to him his family.